Rosalie Apartments are an established family business situated in Atlantic Shores, an exclusive residential area on the South Coast of Barbados in the Parish of Christchurch. If you enjoy the peace and tranquillity without the bustle of a hotel, Rosalie Apartments is just the place for you. We offer both 1, 2 & 3 bedroom ocean front apartments to host 1 to 6 persons. Enjoy panoramic sea views in our simply stunning 30ft swimming pool or relax in our jacuzzi. Pool towels inc.
Our modern open plan kitchen will offer everything a skilled cook would desire, not forgetting the dishwasher! Our typical lounge offers comfort & relaxation. Satellite TV, Radio, CD player & Wi-Fi inc.
Panoramic views of the Atlantic ocean from almost every room will last long in your memory. All apartments include maid service offering fresh linen and towels upon request. 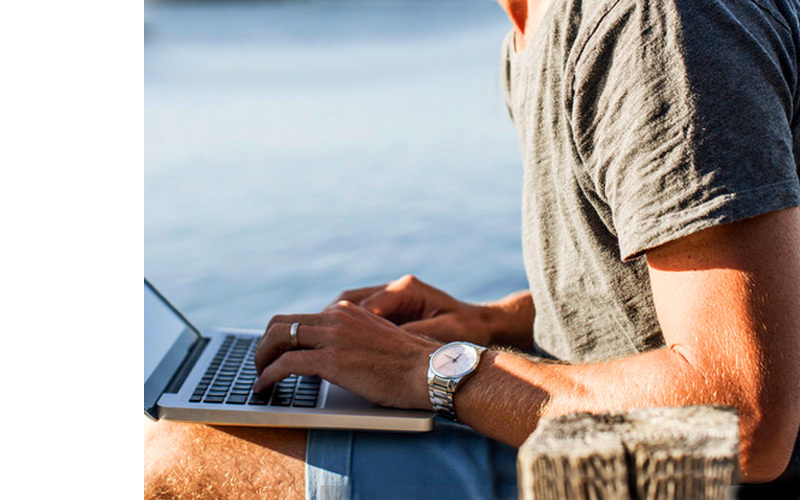 We understand the need for connectivity to family and loved ones and offer FREE WI-FI for guests. Walk for 5 minutes in either direction and discover beautifully quaint beaches with not a person insight! Conveniently located next to enterprise beach. Johnathan property management contact very, very helpful. Made sure I was well looked after. Full information was presented on site to make sure we knew all the working of the facility. Apartment well stocked with dishes and accessories. We really couldn’t be more pleased with choosing Rosalie as our place to stay. We were two couples and one 17m old baby. The reservation process was super easy. We communicated with Robert to reserve and he was incredibly accommodating making sure that we were all set with our reservations, car rental, and directions. The place is pretty close to the airport so while you can take a cab there, we would suggest having a car while you are on the island. Rosalie is set in a very nice, quiet, private neighbourhood. If you’re a runner, its great as there are hills and less travelled roads. The Rosalie is so cute from the outside. We were in UNIT 6 and it was amazing! The views from the balcony, the ocean sounds, and the perfect breeze, all added to the charm. When we got to the place, Jonathon and Sonia were there to greet us. There was a little welcome basket with some treats and the fridge had some complimentary beverages. The place was very large and we had plenty of room. Everything was CLEAN and smelled fresh. There was a book that gave us a lot of information and the wifi was helpful too for us to locate places to go and brag on social media. There was tv, although we really didn’t watch any. We did do a few loads of laundry and used an air drying rack on the balcony. The pool is such an added bonus. It gets sun pretty much all day (we were there mid-March) and just has really great vibes. Because of the baby, within 10 minutes of us being there, Jonathan had some people bring over a few gates that went in the door of the balcony which was great. We loved the kitchen and made plenty of small meals/snacks to pack for the beach to save some money. There was a Massey Stores not too far so we did a basic food shopping. We used one of the soft coolers to transport our food. All the beaches were fine with this. There are two (2) restaurants within walking distance. Surfers Bay which is what you would think would be a sketchy walk but it really wasn’t. Just along the coast in open field, you’ll see the lights. Bring a flashlight or use your phone. We took the baby in the stroller and went 2x. Their mahi mahi was delicious! We also walked to Chicken Rita’s which was so yummy. Trying to keep this review all about Rosalie, so just know its super clean. The people are so very accommodating, friendly and really care about you having a good time. Before leaving, we looked at another unit, just to know because I’m sure we will come back. If you’re looking to surf, Freights is a mile away. We were there in midMarch and we didn’t experience any mosquitos, bugs, or critters. It was awesome. We loved it and are so happy we were able to stay there. I have to say that John and I had a wonderful stay at the Rosalie Apartment #1. We were celebrating a milestone birthday and the accommodations were just what we wanted. The Rosalie provided a quiet refuge on the south side of the island. 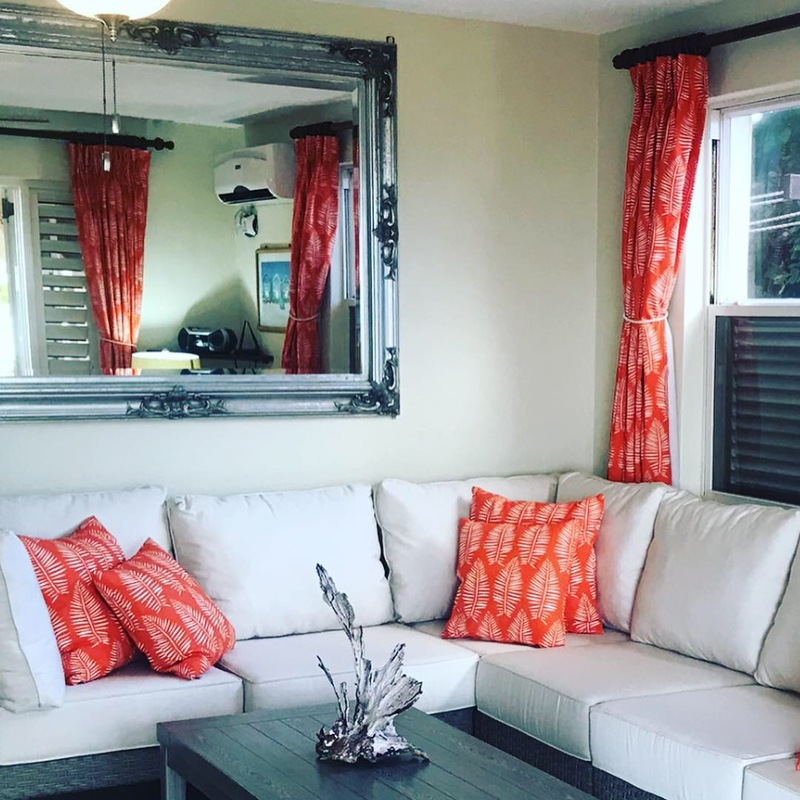 The unit we had presented with a fully equipped kitchen, a lovely breezy lanai overlooking a gorgeous pool and the ocean. With that being said Robert and Jonathan and Sonya could not of been more accommodating and accessible to answer any questions one might have upon coming to this beautiful island for the first time. I will treasure our week here and look forward to our return to the Rosalie. We are already in the planning stages! My boyfriend and I traveled to Barbados for my birthday and we truly couldn’t have had as wonderful a trip if it wasn’t for Rosalie’s hospitality and their staff. They were so helpful and made us feel welcome from the moment we arrived. The apartment was spacious and it came with a stunning view of the ocean. It was so nice to be able to return every day to a place that felt like home. We’ll definitely return to this magical place. We enjoyed it very much. Being met at the Airport, friendly and helpful staff; even taking us to the supermarket for our first shop. The apartment was clean and comfortable, with everything that we needed. When we asked for a tin opener and a pair of scissors, they appeared! The downside is that it is a long way from shops etc, so a car is essential or take taxis as we did, including a tour of the Island. Water skiing and jet skis are a long way away, but surfing is only 10 minutes walk with a small beach and cafe that serves good food. The activities that we arranged all included transport. The pool is lovely, as is the view. We would certainly recommend it. Just had THE best holiday with my girlfriend in Barbados, thanks to Robert Glover and his friendly & helpful staff. They fully catered to our wants / needs and were always on hand to answer our questions, assist with our itinerary and make bookings. We stayed 7 days at Rosalie and were given the penthouse suite . The apartment was beautiful, the view was magnificent, and Jonathon and Sonia made sure everything was perfect ,every single day. The pool area was fantastic and we spent our last 2 days there. Thank you Robert for a tremendous time. Stayed at Rosalie for 2 weeks and have the best memories of Barbados! It started off so great with the fact transport had been organised from the Airport to the apartments, which are based along the coast with stunning views of the ocean where you can see turtles swimming by and sit out with your Rum and Ginger while watching gorgeous sunsets. That’s what a holiday should be. A short 5 minute drive and you’re at one of the numerous beaches nearby where you HAVE to have a fish cutter from Mr. Delicious’ snack bar! 10 minutes away you have Oistins which offers all the food, music and atmosphere you could ever want from the island. I love this place and Rosalie made it so easy and welcoming that i’ll always have find memories of it! 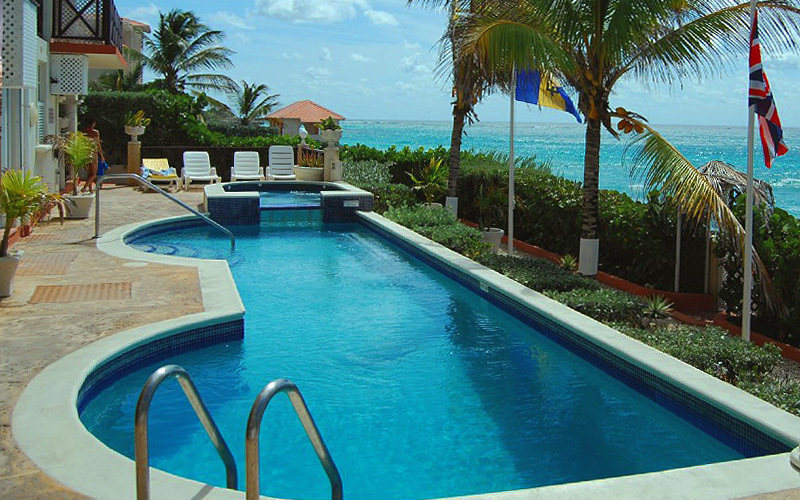 My wife and I just returned from a week in Barbados where we stayed at the Rosalie Apartment. Our host provided transportation to and from the airport and also graciously arranged a car rental for us. Robert Glover was also extremely helpful with identifying activities and restaurants on the island. As a result, we were able to book everything we wanted to do well in advance, and obtained primo seating at some of the best and most sought after restaurants on Barbados (The Tides, Tapas and the Cliff). Our flight was delayed resulting in a late arrival at the airport. Our transport to the Rosalie was ready and waiting for us, and Jonathan and Sonia who manage the Rosalie greeted us at the apartment. They kindly drove us to pick up some food given the late hour, and introduced us to all of the amenities the Rosalie has to offer. Jonathan also provided the car rental which was a compact car ideally suited to the driving and parking conditions on Barbados. Our apartment was on the first floor. It was spacious, well appointed and very clean. We loved the fact that we could walk right out the door to a covered patio, chaise lounges for sun bathing, and a fabulous pool and jacuzzi. We had the pool area to ourselves most of the time. 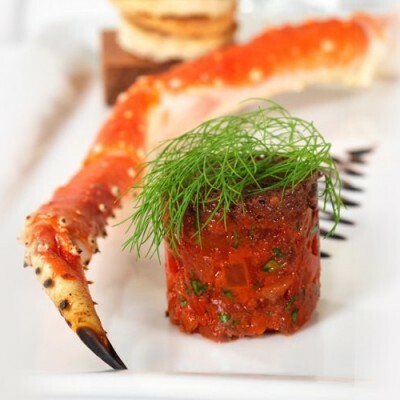 We had a great time in a relaxed atmosphere that was fabulous, and will definitely return for another visit and of course will book the Rosalie. Thanks to Robert, Jonathan and Sonia for their outstanding support and for making our trip so memorable with lots of R&R at the Rosalie. We highly recommend this venue for a relaxing vacation in an upscale setting. Book this place and you will not be disappointed! My wife and I traveled to Barbados since 2oo6 and this is the best place we ever stayed. The apartment has everything and more. Very comfortable and spacious with spectacular view. Can also accommodate extra guests if needed. The place is quiet, safe and clean. The management people are very quick to respond for any needs. We definitely will come back. We have been going to Rosalie for many years now and it never disappoints. This year the Apartment had had a refurbishment which was lovely and fresh. We were extremely well looked after by Sonja and Jonathan and of course Clyde picked us up and dropped us off at the Airport. Everything always runs smoothly. The situation is beautiful with the sea so close that you can hear the waves at night. We always hire a car from Rosalie and it is always brought to the apartment on the day of our arrival. We love to drive around the Island but the local beach (Miami Beach) is lovely and very unspoilt, just a short drive away. A car is really essential if you want to explore. If you want a quiet, relaxing holiday this is definitely the spot and we can strongly recommend it to anyone who wishes to visit the Island. We have already booked for next year. We’ve been in Barbados for many years, we’ve stayed in several places, but Rosalie has a special place in our hearts. The place is very quiet, there are no noises and the sea view is exceptional. Robert the owner is really friendly, always available and kind, ready to satisfy any request and to help for any need. At the airport, Clyde picked us up, accompanied us to Rosalie, where Sonia and Johnathan were waiting for us. they were all very kind to us, they immediately asked us if we needed anything, having three children … and during our stay they helped us in everything. How can you not love these people? The apartment n.6 is immense, there are three bedrooms and three bathrooms, a giant kitchen / living room and an incredible terrace; in this apartment you feel like family, there are many beautiful photos, many memories of a family that deserve all the respect and care that anyone who enters the home of others must absolutely give and that make you feel part of something important. We stayed two weeks at Rosalie apartments. The apartment is beautifully located on the oceanfront. The day is filled with the sound of the sea and beautiful sunsets. We were warmly welcomed and got a welcome-food-package for the start of our holiday. The apartment was very clean and has a nice furniture. WiFi, telephone, TV and maid service were included. Furthermore, the landlord Rob were always available, answered all our questions and helped with organizations. The beautiful and quiet location at the Atlantic Shores is an ideal base for exploring the island and to reach Freights Bay a very good surf spot for beginners. We recommended to rent a car, because there is no public bus stop close to the apartment. A visit to Rosalie apartments is the ideal way to escape your everyday life and is worth a second visit. We’ve had an amazing stay at the Rosalie Apartments! Our apartment was clean, well maintained and equipped, and the beds were comfortable. Nothing was too much trouble for the staff and owner, Robert, who was efficient, helpful and made us feel so welcome. The children loved the swimming pool and I loved waking up every morning to the views and sound of the ocean! We will be back! I enjoyed my stay at Rosalue apartment. It had all you needed and more. Quiet and relaxing. The owner Robert was very accomodating and helpful. Thank you for a pleasant stay. Hope to return soon and thanks for complimentary groceries, great hospitality. If you are looking for somewhere away from the hustle and bustle, then this is the place. A car is a must due to the location , but just a short walk along the path you will find a great surfers bar. Only a short drive to local shops and beaches. Supermarket shopping can be very expensive, so check conversion rates before buying your favourite home comforts abroad. We had booked for 2 weeks, but unfortunately i was taken into hospital after 4 days and spent the next 8 days at QEH in Bridgetown. The team at Rosalie were very helpful and made our stay in Barbados a little easier, under the circumstances. We will be back to visit this wonderful place and experience the many things on offer. 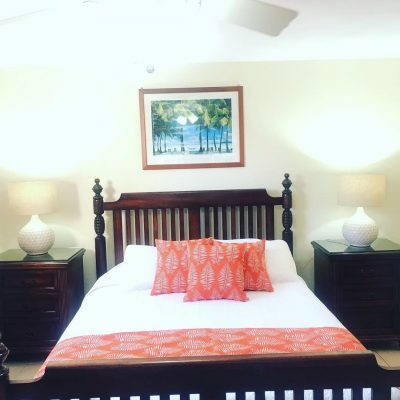 What a find… the apartment was very well equipped and in a quiet location which provided us with a very peaceful stay and allowed us to experience Barbados at its best. The apartment is on the coast and well positioned to go for coastal walks, visit the local surfers bar and beach but also 5mins from Oistens in a car or a really pleasant 35mins walk. Robert and all the team make our stay from the initial enquiry to leaving, so smooth… we will be back!! Angela greeted us at the airport. She was nice enough to stop for us at the Oistins Supermarket for us to grab a few items. We got to meet Robert (the manager) and were quite impressed with his availability and services provided. Kamisha is the one we dealt with the most. She was great too. The listing description exceeded our expectations. (location, amenities & environment). 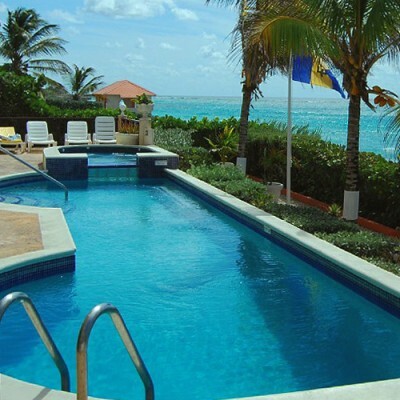 We would not hesitate to recommend this place, based on value for money in Barbados. The airport transfers and car rental were a nice touch. We enjoyed the beaches (Miami, Crane) Oistins Fish Fry is great. (we did it Friday at Pat’s Place) Diner at Cafe Luna is more pricey, but worth it. A trip to Speights town is worthwhile for free snorkelling at the local beach. Great Restos. (had tasty lamb rotie at Juma’s) Beach Bar nearby has good food and pleasant atmosphere. Check for Live music events .. (we went Sunday) Cheers !!!!! We were very pleased with our apartment. It is well appointed and comfortable. The welcoming basket was much appreciated. The setting is so relaxing and pretty, We took several pictures and will share them with friends and encourage them to stay. You are fortunate to have such a competent, friendly team supporting the Rosalie. Clyde was punctual, courteous and most professional. Jonathan is such a great teacher. He took us for our instructional drive and taught us a lot about driving in Barbados. We had no difficulty driving on the left side and managed the roundabouts . Kamisha was waiting to great us when we arrived and always had a smile and a wave as we came and went. She is a multi-tasker and aside from looking after the neatness of the apartment, we watched her easily change a frayed flag for a new one, and ensured us that if we needed something just to ask. A great holiday. Beautiful well equipped apartment right next to the ocean. The pool is right outside the veranda and is lit at night. 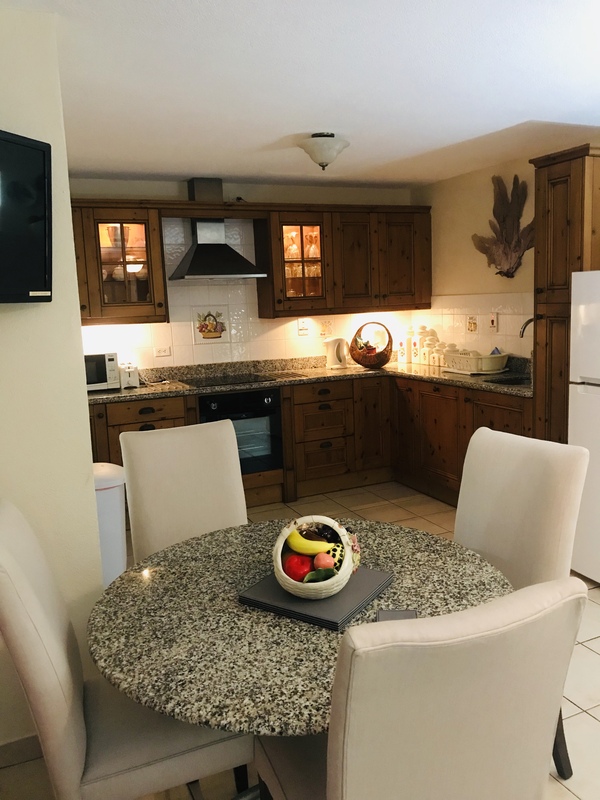 I have stayed in other apartments in Barbados but The Rosalie leaves them all behind in attention to detail, nothing has been spared in the equipment you may need when self catering. Absolutely loved it, I’m coming back next year! This was the best Luxury apartment situation you can get in Barbados. All the bells and wishes. The pool was incredible and so was the hot tub . The view and the sound of the turquoise Atlantic ocean at your doorstep. Watching snorkelers and windsurfers play in the ocean like dolphins was also fun. I will return. The private beach on the most pristine area of the south was really special. Great place to stay, very quiet and loved the private pool access. Loved the 25th anniversary recognition for my friends who travelled with us. A complimentary bottle of Pinot Grigio was left with an email recognition from the house keeper and the owner. Apartment was clean and well equipped kitchen. Very grateful for the housekeeping service being included. Minor maintenance issues with the air conditioning and additional towels which were addressed quickly and it was refreshing to see the follow up which included emails being copied to the owner Robert Glover. 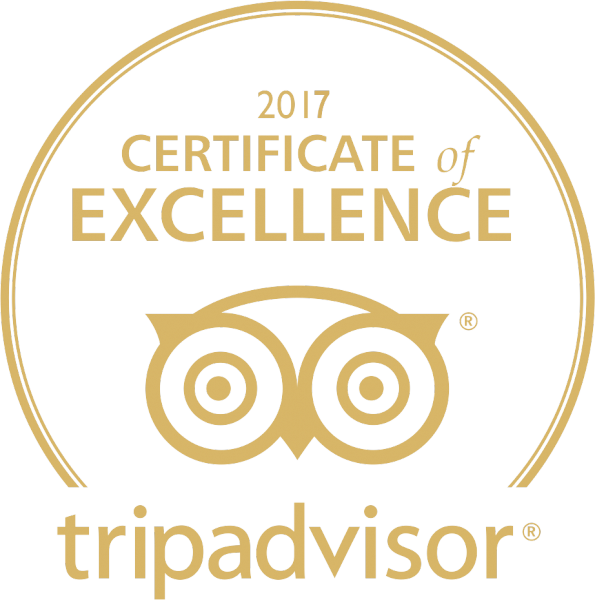 Overall extremely pleased and we have already recommended this establishment to friends who are looking to visit Barbados again. We were lucky enough to spend a week at the Rosalie apartments in late November. It was the perfect base for our family of 5, with two kids (4 and 8) and my mother. This apartment was perfect for everyone, and the view was AMAZING. Definitely rent a car from Johnathan at the apartment to fully experience Barbados, and don’t be afraid to go off the beaten path. From the apartment we were able to walk to an amazing little beach with very few people, just head east down the road and keep going down the dirt road. Can’t say enough great things about this trip, and the staff at Rosalie Apartments, we made memories to cherish for a lifetime. The Rosalie offered everything we could have asked for and more. Starting with booking, Robert was very quick to respond and even followed up with me when I missed his initial response. He was also very helpful with any questions I had prior to our arrival. Upon arrival, airport transportation was provided from Clyde who was wonderful to speak with along the drive. At the apartment, Kamisha was there to greet us, get us settled, and provided top notch service for anything we asked for including arranging for Paul (a taxi driver associated with the Rosalie) to pick us up the next day and take us into town for provisions. Both Kamisha and Paul were available anytime we needed them during our stay, quick to provide recommendations and answer any questions we had. The apartment itself was clean, comfortable, and spacious. Very large/well equipped kitchen made it easy to prepare meals. Welcome baskets were provided, a lovely touch for two weary travelers arriving late at night. 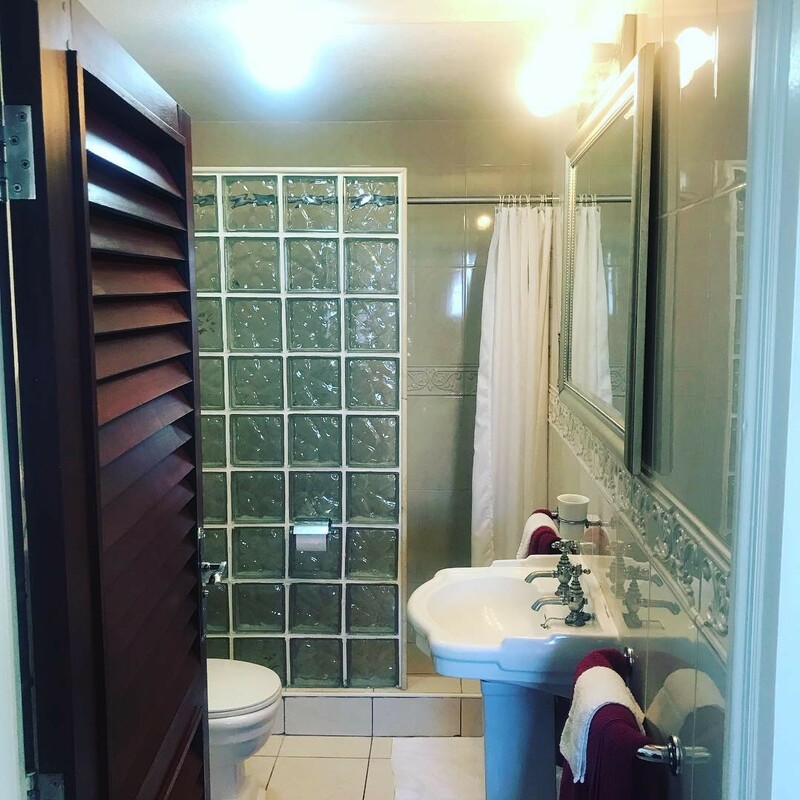 The property itself is located in a residential area, very safe and peaceful with a beautiful view, yet only about a mile from Miami or Enterprise beach and the town of Oistins. Oistins itself has a nice fish market, and on Friday’s has a fish festival where locals and tourists alike come together to enjoy food, music, and fun. Hi Rob, I spent a lovely time at Rosalie´s apartment. I felt like being at home but with the sun l miss in France. Kamisha was very helpful. Best regards Sophie. We had a wonderful 11 day stay at the Rosalie Apartments. From the timely correspondence with Robert to the service upon arrival and during our stay, we could not ask for more. We were picked up at the airport by the quiet but friendly Clyde and met by the ever pleasant and helpful Kamisha. Being our first lengthy visit to Barbados, we loved that it was within close proximity to Oistins and the airport. What you see in the pictures on the website is an exact replica of what our unit looked like. It was comfortable and had all the amenities necessary for our stay, including a very well equipped kitchen. There were little touches to the apartment that stood out. There was a drying rack with clothes pins as well as a drying line at the side of the building. There were bath robes in each bathroom, floral arrangements on our beds and near the bath towels and a handbook with detailed, pertinent information to make your stay comfortable. 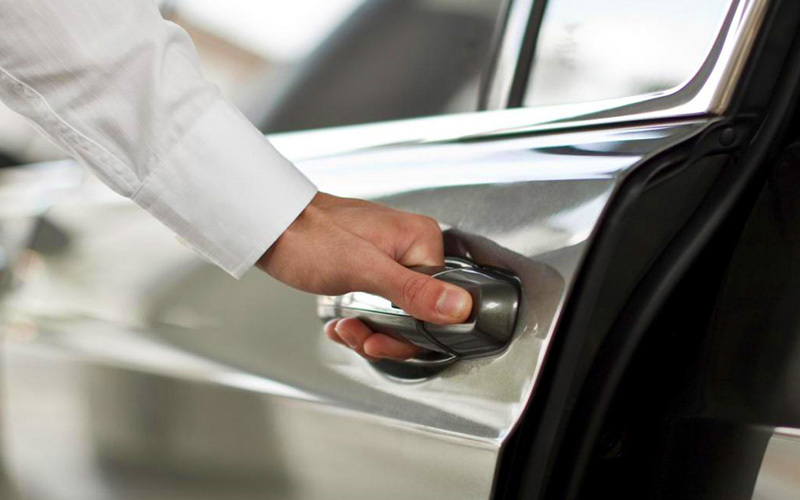 We would recommend getting a rental car for your stay, through Rosalie Apartments, with Allied Car Rental. The price was extremely competitive and Jonathan’s customer service was on point. Parking is available at the front of the building (not on the street) at no additional charge. The beautiful Enterprise (Miami) Beach is a short drive from the apartments, if you do not like exploring. We would definitely recommend staying at the Rosalie, convenient and safe location and a home away from home. Kudos to Robert and his team for supplying fabulous accommodation and impeccable service. Rosalie apartments provided a wonderful base for the four of us staying there. It is located right on the water, with beautiful vistas of the open water, large surf, and daily entertainment provided by the kite surfers 500 meters offshore. The 2 room apartment was very clean, beds comfortable, and location very quiet. A short 8 minute drive or 35 minute walk got us to the center of Oistens and Oistens fish fry. The kitchen was well equipped and the refrigerator full sized. All in all a very good value and I would highly recommend this place to friends visiting the island. We thoroughly enjoyed our stay at the Rosalie! The apartment was lovely and well equipped with all necessary amenities, nothing was too much trouble for their friendly staff. Having a car is a bonus if you want to discover the island but Rosalie is walking distance from Miami Beach and Oistins with its local shops and popular fish-fry every Friday. And if you fancy a break from beautiful beaches, great restaurants and cocktails at the local bars, you can just relax by the pool and watch the sunset from the patio – unforgettable! Rosalie Apartments was the best home away from home I’ve ever had on a trip! It’s quiet, with a great view, but close enough to any supermarket or beach! The rooms are big and the place is cleaned regularly! Kamisha is great! I would definitely recommend this to any travels wanting to enjoy Barbados! My whole family knows where to look for a great place to stay now! We were very impressed with the quick and attentive care that Robert offered from our first contact. We genuinely appreciated the airport pick-up ( our driver had to wait close to 2 hours as we were the last of 4 major flights that arrived on a Saturday afternoon ). The apartment was clean, comfortable and well equipped. We stayed in Apt #2 on the ground floor. We thoroughly enjoyed the lovely outdoor covered patio for our morning breakfasts and our after dinner chats and cards. Our apartment received regular care ( making beds, bathroom tidy up and garbage removal ). The pool was nice to have for a pleasant early morning dip or a late afternoon plunge after a day at the beach. Beach towels were provided as well as an insulated picnic cooler. Both essentials were great. Amazing location right on the ocean front, with beautiful views, lovely pool with hot tub. Sun terrace, with a gate directly onto the oceanside for turtle and kite surf watching. Accommodation is spacious with excellent fully equipped kitchen (hob, cooker, microwave, fridge freezer, dishwasher etc. Lounge, dining area, tv, satellite, large double bedrooms x2, bathrooms x2, air con, telephone, fans, outside seating area etc etc etc. The service was brilliant, daily cleaning, easy car hire rental via the accommodation, lots of local info in the information book. Free local calls from the landline which made booking restaurants and trips simple. Nearby lovely local bar (with great views and food), beautiful deserted beaches 2 mins walk away, Miami beach nearby (which is amazing). The perfect location for total relaxation, near enough to the busier parts of the island to see all the sites. Highly recommend. We will be back asap ! This is my second time here. Kamisha and Jonathan are the best. The property is immaculate. The apartment is too. Anything I wanted, Kamisha was there to do it. You do need a car. Johnathan provides an immaculate one and by the way, knows just about everything about the island. By chance, the owner was here for the whole time I was. Charming and attentive. Safe, quiet, clean. To have airport pickup and drop off is a small thing, but such a bonus. Clyde is perfect at it. I will come again. My husband and I have been going to Rosalie for at least 10 years and we are never disappointed. The standards are always maintained and we are extremely well looked after by Kamisha and Jonathan, from the moment you arrive until the moment you leave. You do need a car but having said that you can walk to the Surfers Bar and to Silver Point along the coastal path (if you are feeling moderately energetic). A lovely place to unwind and relax. Very nice room, everything you need in the kitchen. Both ac are in good shape. A great, small relaxing pool. It was the first time that we could see the sunset and the sunrise from the same patio. Very nice walk in the mornings in the quiet streets. Would go back tomorrow. This is a can’t miss opportunity. Accommodations are terrific. Help is friendly and efficient. Well located between the airport and the rest of the island. Then the most important part of all is that Barbados is our all time favourite place to return to. We have to been to many of the Caribbean Islands this is the best! We hope to be fortunate enough to keep returning for many years to come. We spent the Christmas holiday’s at this wonderful apartment. It had everything our family needed with a spectacular view. We will certainly stay here again if we journey back to Barbados. Kamisha and the rest of the team were fantastic and so helpful. From my initial enquiry with Robert, through to booking and arrival at the apartment, the service I received from Robert was friendly and perfect. Nothing ever seemed too much and my questions were dealt with promptly and efficiently. On arrival, I was met by Kamisha the wonderful housekeeper who showed me around the apartment and helped me throughout my stay. The apartment is located right on the sea front, was well furnished and comfortable with all the amenities you would expect. I hired a car (through Robert) which proved highly beneficial to explore this beautiful island. I hired a car (through Robert) which proved highly beneficial to explore this beautiful island. 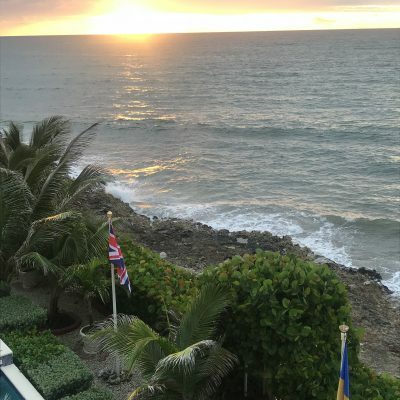 All in all, I can’t find fault with friendly service I received from Robert and his mother Rhonda and would thoroughly recommend these delightful apartments to anyone visiting Barbados. My husband and I just returned from a fabulous 2 week stay at Rosalie. From the moment we contacted the owners until we departed, everything was flawless. We loved that airport pick-up and drop-off was provided, and to have Johnathan deliver our car to us at the apartment was so much appreciated. He was very pleasant to deal with and made the entire process painless. Our apartment at Rosalie was perfect – the owners have added many lovely touches to make it a very comfortable and pleasant stay. Everything from the furnishings to the quality cookware, cutlery, dishes and crystal glasses was lovely. The large patio was the perfect spot to eat and relax in front of the pool with a lovely view of the sea just on the other side of the hedge, and the drying rack was much appreciated for wet suits and towels! 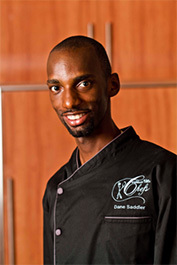 We highly recommend booking a private chef (details in the guest book in the apartment) for a dinner during your stay. He came, prepared a gorgeous meal in our kitchen, served it (beautifully presented), cleared everything up, and left all leftovers for our future use. The cost was about the same as eating out in a nice restaurant and the experience was delightful! We would definitely recommend at stay at Rosalie. Well maintained and managed property. Everyone we met involved with our stay were pleasant and concerned with how we were enjoying our stay. Rented a car from their car hire and Johnathan took care of all necessary paperwork at the rental. He even showed us around the immediate area to put us at ease. Close to Miami beach, Oisten’s and Bridgetown. Met very nice people staying there, great conversation and fun night out with them. Absolutely nothing to result in less than 5 stars. Everything looks like the pictures – even better actually. The owners were so helpful and set up our taxi to/from the airport so that our arrival and departure were as smooth as possible. Jonathan, who delivered the rental car, was great and took the time to show us around the local area. His suggestions were so valuable to newbies like us. The view from the apartment is amazing. You cannot beat it for the great price they offer. Everything is top-notch. The location is great – on the quiet, southern end with a wonderful breeze all the time to keep you cool. It is a quick drive to local beaches, Oistins, and St. Lawrence Gap. We had an amazing week and would definitely return. We had sea turtles in view almost daily. The property’s location results in a comfortable breeze night. We stayed in a 2 bedroom ground level unit that faced the pool. It had a main bathroom with shower plus a front bedroom with it’s own bathroom. The covered outdoor dining area was well utilized as were the lounge beds at each end of the pool. The pool/spa was very refreshing. Car rental is available through the Rosalie. The rental rep Jonathan was very helpful and brought the car to our location. A fantastic place to stay especially if you’re looking for a quieter, more private vacation. Main floor apartment with walk out to ‘nearly private’ pool was a spectacular place to relax and re-energize. Beaches are close by or a bus or taxi away. Clean/well taken care of. Everything worked as promised, including the car. All done on time w/ minimum hassle. I would rent at Rosalie Apts. again. 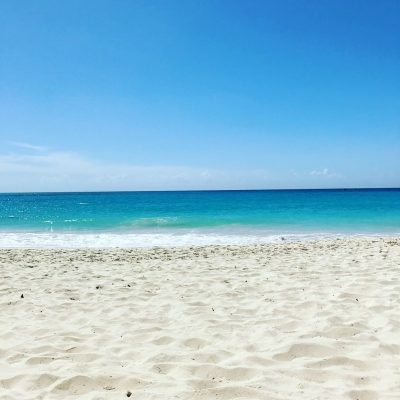 Nearby highlights – Silver Sands beach, Miami Beach, Oistens. Lovely apartments with all the amenities to do self catering if you wish. Great to hear the waves crashing right outside your window and walk out onto the patio to a great view. First time we stayed at Rosalie. Clean and well furnished Beautiful spot on the Atlantic. Nice people to deal with. Can walk to Miami beach or the surfer bar near by. Attentive staff. I would go there again. We enjoyed the views of the ocean. The staff was kind and the apartment was confortable. We recommend this apartment and we have the intention to go back again. Thank you! We absolutely did have an enjoyable stay at Rosalie. We always regret when the time comes to go back home. 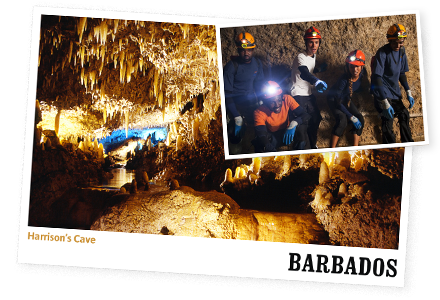 It seems like we have a lot of time to do the things we look forward to doing in Barbados. Then before we know it, it is time to go back. I’m always trying to find a way to stay longer. I need to say that Kamisha does an excellent job of taking care of us all and helps us feel well grounded when we’re at Rosalie. A truly relaxing holiday in a wonderful complex. Our apartment was excellent with all the amenities we could wish for. From having cold drinks on our patio and only a few steps into the pool and the surrounding gardens and the view of the sea were magnificent. We thoroughly enjoyed out stay at The Rosalie and returned home feeling happy and most relaxed. We will be back! My wife and I enjoyed our stay at Rosalie. The one bedroom apartment had everything we needed. The pool area is very nice and the ocean is right outside the back gate and we would sit on the rocks and enjoy our morning coffee and watch the sunsets. This apartment is comfortable, large and well equipped. It is on the ocean, which for us was just fine – we were able to sit by the sea and relax, take walks along the shore and enjoy the sound of the waves. Pickup was flawless, and so convenient. Great stay. Peter the owner arranged for a driver to greet us at arrival at the airport. When we arrived Kamisha greeted us warmly and made sure we were well taken care of and how everything worked. Peter arranged the car rental for us and the bonus of booking with him was that the Rep, Jonathan, took us out for half and hour to get us acquainted with driving on the left. The accommodation was 1st class with awesome ocean views. Thank you Peter! Absolutely delighted with our apartment and yes we are being well looked after by Kamisha. I must say that we really enjoyed our week long stay; the slightly off the beaten path location worked for us! 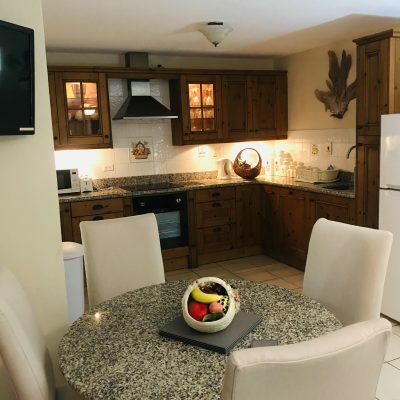 We found Unit 1 to be very well set up for a holiday, from the fully equipped kitchen, lovely pool, oceanfront vistas, the tranquility and privacy, plus of course the friendly staff. This was an easy holiday to book and the accommodations totally met our expectations. Please extend our thanks to Kamisha, she is a GEM!! The pictures don’t do this place justice. It was beautiful and the staff was amazing. We rented a car to get around, which you will need. Made our own meals after shopping at local vendors. Swam in the pool often and watched the tide come in and out – it was wonderful. We hope to return again! The Rosalie has the perfect patio for relaxing before and after a real big time on the island. Kamisha killed it on the housekeeping and all around a very accommodating spot and we would return. 10/10. Thanks for showing us a good time!! Date of stay: 1st June 2015! The apartment was perfect for two couples. It was clean and had all the necessities you would need on a vacation. Kamisha the housekeeper was very helpful and informative. The location was great but you would definitely want to rent a car. Had been 7 years since my last trip to beautiful Barbados, and was looking for a new place to stay. Could not have made a better choice! Love it here! Accommodating people, beautiful sea view, pool, well appointed apartment, in a quiet residential area. Although I slept well, I would prefer a bit softer bed, but that’s just my personal preference. Kamisha is a “gem”, the ” K-man” always friendly and good for a wee chat. Peter at your service when need be and his son very friendly and helpful as well. We love it so much we are repeat visitors before we even leave…we are staying an extra week!!! We will be back!!! What a beautiful place, very clean and well maintained. We will certainly tell our friends about Rosalie. Kamisha was very pleasant. Thank you for arranging our car rental with Jonathan. We had the Caribbean Villa Chef’s cook for us. It was wonderful. This was our first time to Barbados and to start we were met at the airport by Clyde and taken directly to the apartment. Kamisha was there to greet us and looked after us during our stay.The apartment is beautiful and very clean. The beaches are like paradise and we loved touring the island with our rental car. We have stayed at three different apartments and they were all good but this one is like home to us. All the previous good comments we share. We are so sad that this is our last day here. The apartment is well kitted out and spotlessly clean. It was great being able to prepare our own breakfast and some lunches and eat them on our own private patio with views of the ocean to die for. We were most impressed with the level of care that Peter and Rhonda puts into it and we will be back. What more could you wish for. Peter’s no nonsense and relaxed efficiency made sure everything ran like clockwork. We will have no hesitation in recommending the Rosalie to friends and family. Just trying to figure out when we can come back!! We stayed in #1 and the apartment was very clean with a lovely area to eat outside. The service was great and it was the best of both worlds, a fully furnished apartment with housekeeping service. We rented a car and enjoyed going all over the island and finding a new favourite beach. We loved staying at Rosalie! From being picked up at the airport to the friendly staff it couldn’t have been better. Loved having the pool to cool off in after walking or just being out for the day. The apartments have everything you need. We will be back. 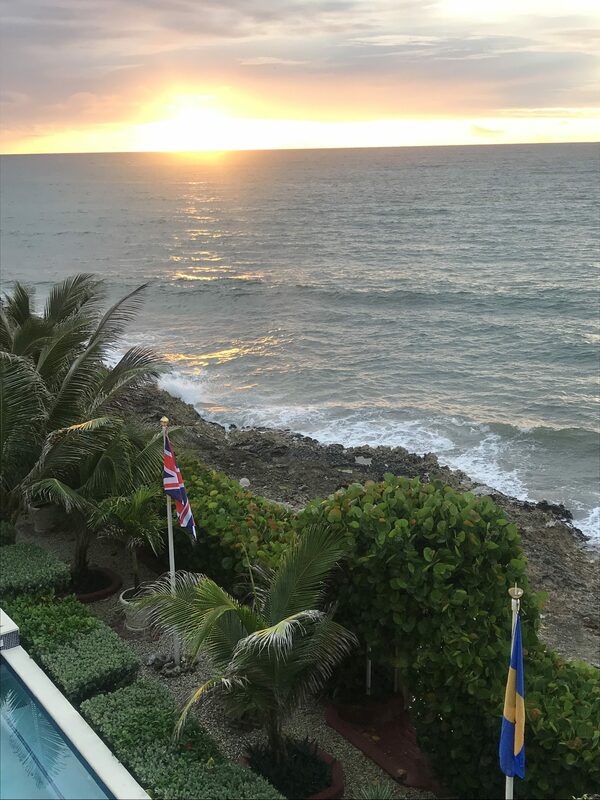 Having come to Barbados many times now, the beauty of the Island is of no surprise, but it was certainly enhanced this year by our first stay at Rosalie Apartments with hosts Peter and Rhonda, who greeted us upon our arrival – a nice touch. First impressions count, and Rosalie does not disappoint in that respect, and then deeper observation reveals the excellent décor, superb furnishings, attention to detail, and an overall willingness to make our stay as comfortable as possible. Our first visit to Barbados and it was the Rosalie Apartments was just what the two of us needed! Quiet, off the beaten path, St. Lawrence Gap can be busy day/night. Thanks to Clyde for making our runs to the grocery store and beaches! A return visit is a definite! We (a family of four) were fortunate enough to be able to have one of Peter’s apartments over spring break, even though they do not usually allow kids. The apartment was perfect for a much-anticipated week of R ‘n R. As the only early bird in my group, I loved sitting on the patio (of the bottom apartment off the pool) drinking coffee, reading to my hearts content, watching the sun rise and listening to crashing waves. The entire apartment was very nice. We especially enjoyed the quiet and peaceful atmosphere. The bedroom was very cozy and comfortable with a view of the outside patio. The patio area outside of the apartment provided a lovely place for breakfast, brunch or dinner while taking in the spectacular view of the ocean. The kitchen was well-equipped for cooking and dining which included sufficient pots, pans, flatware, dinnerware, cups and glassesware for use, as well as a very nice stove and refrigerator. We had the extreme pleasure to stay at Rhonda and Peter’s Rosalie Apartments the last 2 weeks of January. We were greeted by Dave at the airport and taken to the Rosalie,where we were welcomed by Peter. Apartment 2 was lovely,very well appointed and comfortable, all anyone could wish for to feel at home and relaxed. The Welcome Basket of goodies was very much appreciated. Wow! Fantastic! Our first words on arriving at Rosalie for a five week stay from cold, wet and windy Scotland. The view from our patio across the pool to the turquoise ocean was superb! No.2 Apartment was first class – very well furnished and spotless throughout. The kitchen was just like home including crystal glasses except filled with rum punch instead of whiskey! We found this apartment on FlipKey and were at first very hesitant about doing a private rental rather than a hotel. Turned out to be a great idea! They arranged pick up and drop off from airport and we rented a vehicle. The location is a bit secluded so you need to drive out to access the beach or any stores or restaurants. The suites were clean, had everything you needed, dishes, towels, sofa, flat screen tv and satellite, internet, pool, ocean front, but beach is rocky not sandy. I located Rosalie through Tripadvisor but then I was able to locate it on other sites as well. Upon arrival at the Rosalie we were expecting the worst! A lot of places are not true to their pictures so we were prepared but surprisingly this place is completely gorgeous! What you see in the pictures is exactly what u get, a piece of paradise. The owner Peter from the start was very professional and accommodating. Perfect place to enjoy a quiet Winter break in the sun….apartment was spotlessly clean and the staff very friendly . Welcome pack ready in the fridge. Wonderful location with the sea lapping the other side of the garden and pool area. Had the pool to ourselves most days and a world away from overcrowded hotels. We stayed at Rosalie during the quiet season (mid-August) and quiet it was. The location is just perfect for a relaxing stay away from the hustle and bustle, but still close enough to enjoy Barbados’s south coast (provided you have a car). Apartment 2 is beautiful – we expecially loved the added luxury of the crystal glassware. We had a very enjoyable ten-night stay over New Year’s this year and have re-booked for 2013/14 as we truly enjoyed our stay there. Peter is a delightful host. Oistins is a walkable distance from Rosalie as is Enterprise Beach – the rooftop restaurant at Little Arches is superb. We did rent a car that is really essential to view the island, it was delivered to Rosalie and we dropped it at the airport. The rooms are well equipped and serviced and the view is amazing. The location is just perfect for a relaxing stay away from the hustle and bustle, but still close enough to enjoy Barbados’s south coast (provided you have a car). Though you could walk to Mami Beach (which turned out to be our fav beach on the whole island), or a smaller private beach around the corner, by Surfers Beach bar. Apartment 1 is beautiful – The kitchen is fully equipped to suit anyone’s needs. Our vacation was especially nice because of our comfortabe accomodations. Peter and Rhonda were extremely helpful guiding us in the proper direction to ensure that we had the most enjoyable experience in Barbados. There are many fantastic restaurants, however one evening at Peter’s suggestion we celebrated a special occasion at our apartment by having a private chef prepare us dinner. It was one of the best meals we had in Barbados! We had a wonderful week in Barbados and staying at Rosalie was a huge part of that. We loved the relaxed feel. Walking out of our apartment onto a shaded patio overlooking the most gorgeous blue waters and waves crashing onto coral coastline was the perfect start to every day. Just returned from our first family holiday, it was perfect. Can’t recommend this place enough, everything about Rosalie is spot on. If you want a quiet and relaxing holiday then this is the place. Will be coming back for years to come. Beautiful! The ocean was practically at your doorstep. The place was extremely quiet. The bed and pillows were very firm, which was great for my back. The place is very well maintained with nice furnishings, crystal glasses and italian granite counters. The housekeeper came every day during the week, and was mindful of our schedule. 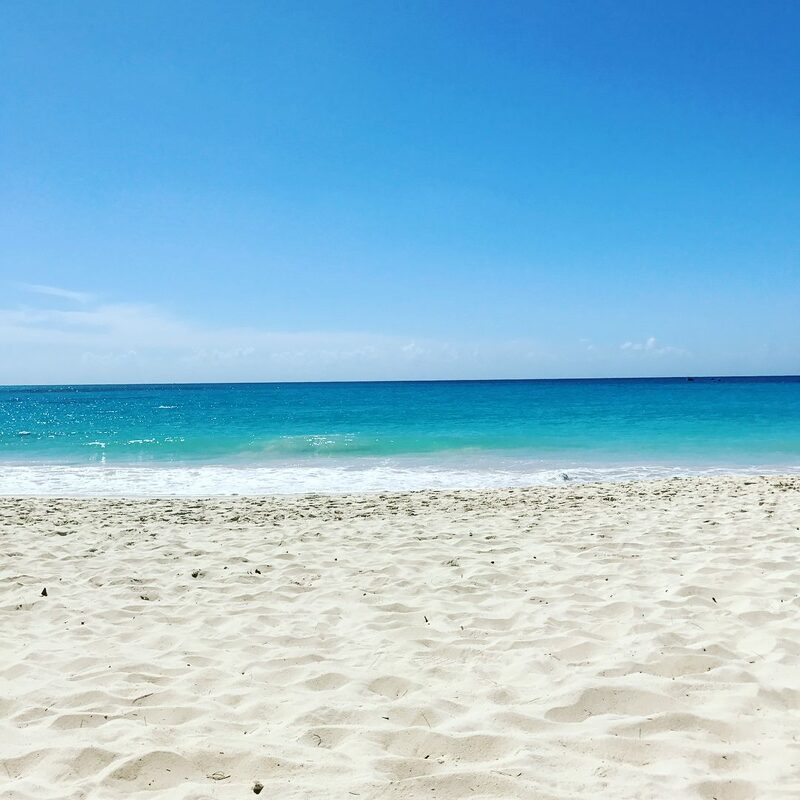 This was my 5th vacation in Barbados and I must say that i was impressed with the accommodation at Rosalie – exactly as advertised on all the web pages I viewed before booking. On arrival (courtesy pick up from airport), I was welcomed by the owners Peter & Rhonda who had put together a food welcome pack which included enough so that if you wanted to chill for a couple of days at the apartment you could. The apartment was clean and obviously maintained to a high standard. We would highly recommend booking a holiday at the Rosalie Apartments. Peter Glover and his wonderful wife, Rhonda, have thought of every detail in the design of each and every apartment. The rooms were all of good size, were extremely clean and well appointed. Peter and Rhonda were very welcoming and extremely passionate about their property and Island. This should be very obvious when you meet them both. They are wonderful, warm and hospitable people! What more could you ask for? Peter’s no nonsense and relaxed efficiency made sure everything ran like clockwork, making for an even more relaxed and great time. He even managed to organise perfect surf for the week!!! We will have no hesitation in recommending The Rosalie to friends and family. Just trying to figure out when we can come back! We have been visiting Barbados for 25 years staying at several locations until we found Rosalie! We have stayed here on our last 5 visits, the last being from 30th November for 2 weeks.Rosalie is a great place to stay away from the bustle of St Lawrence Gap which is only 10 minutes away by car. So finally, if you’re looking for somewhere where you wont be disappointed, head to Rosalie Apartments, Atlantic Shores, Barbados. My husband, myself and our 8 year old daughter booked this trip and we couldn’t have been happier with our choice for our accommodations. The Rosalie is a real gem! We had a great 2 week stay at the Rosalie Apartments. Peter and Rhonda along with their wonderful staff left no detail overlooked. All guests are collected by our chauffeur service and driven the short 15min drive to Rosalie. Our availability calendar is updated daily and is a guide only. For accurate availability please contact us directly by using the enquiry form below. All prices are per night inclusive of a full apartment with a maximum of 2 people per bedroom. We offer High Spec Ground Floor and Penthouse Accommodation. All Apartments are located on the Ocean Front and extra beds can be arranged for minors at a small extra cost. *Price conversions are a guide price only. 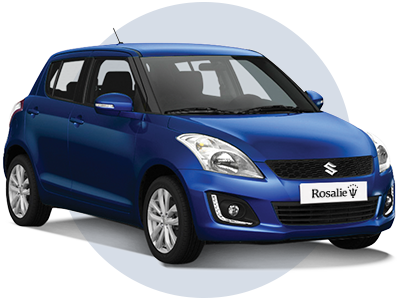 FREE Car Hire on Selected Bookings! 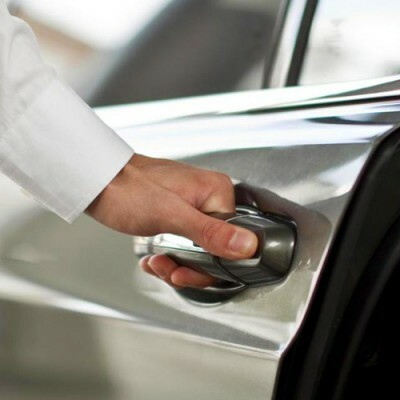 We can offer a range of small and medium size, fully automatic and modern rental cars complete with Air Conditioning, Local drivers permit and Garmin SatNav’s to help you find your way. Specially reduced rates are available for all our guests. Make an Enquiry now Drivers must be over 25 years of age and have a current driving licence. Free delivery to your apartment or the Airport is included. 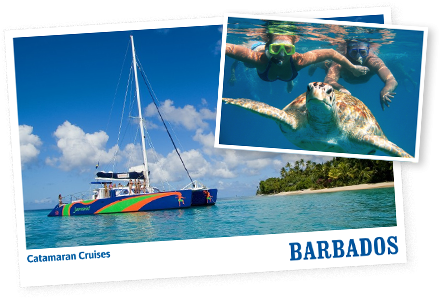 Sail along Barbados’ calm, crystal clear waters to a secluded bay, where you can enjoy a fascinating visit with the Sea Turtles, a refreshing swim, a pleasant stroll on the beach or sunbathing on deck. Explore a shallow shipwreck where you can feed schools of tropical fish, there is a spectacular world of underwater life to be discovered. Oistins is an active fishing town just 5 mins from Rosalie. 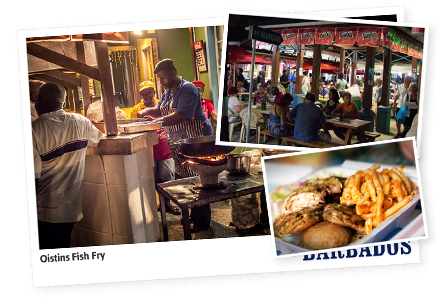 On Friday night particularly, the big thing to do is go to the fish fry at Oistins Bay Gardens. The food is the main draw – excellent fish, (tuna, swordfish, marlin, mahi-mahi, flying fish), lobster, chicken all cooked on the spot in front of you – Street food doesn’t come any better than this! Explore three centuries of the history, heritage and technique behind the Worlds Oldest Rum. A visit to the Mount Gay Vistor’s Centre is never forgotten. 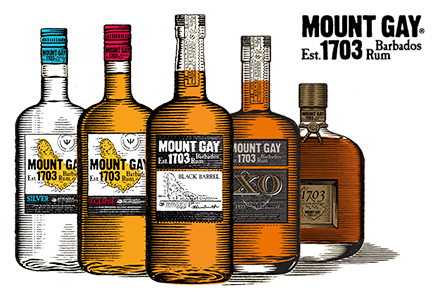 Guests are invited to travel through time to discover the mysteries and secrets behind Barbados’ finest and most celebrated spirit, the 300-year-old Mount Gay Rum. A National Festival of Culture, Music & Revelry. 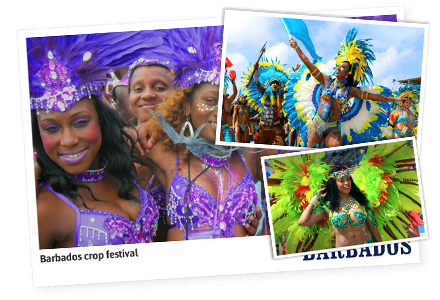 The Crop Over Festival in Barbados which ends with the spectacular Carnival/Kadooment Parade, is the season used to celebrate the ending of the local Sugar Cane harvest lasting 12 weeks from May-August. 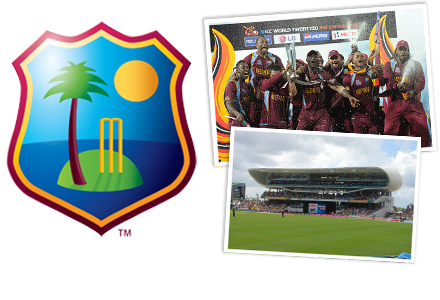 Barbados is one of the international capitals of cricket and always contributes a large contingent to the West Indies team. Names like Sir Garfield Sobers, the three W’s, Wes Hall, the late Keith Boyce, Desmond Haynes and Gordon Greenidge come to mind immediately as Barbadians who have contributed greatly to West Indies cricket. 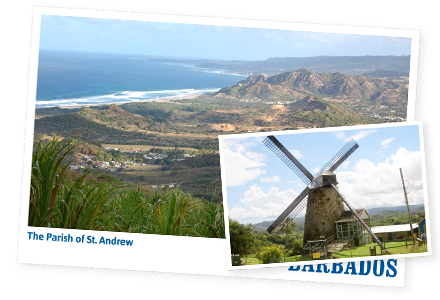 One of the most lush parishes on the island, St. Andrew is located in the ‘Scotland district’ so named because it reminded the early settlers of Scotland. Here you’ll enjoy breathtaking views and long beaches, meet local potters and explore historic sites such as Morgan Lewis Windmill and Springvale Museum. 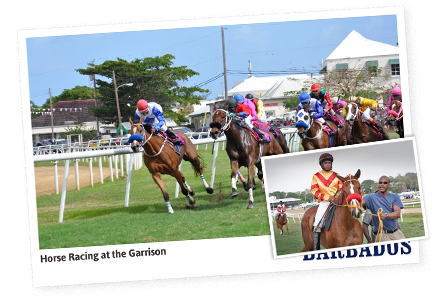 The Barbados Turf Club promotes horse racing in Barbados and organizes approximately 25 race meetings throughout the year. Location at the Historic Garrison Savannah, close to Bridgetown. Racing is not only for the race fan but can be a day of family entertainment with the option to lounge in the shade of the tall trees surrounding the track. 3 night minimum charge in a 1 bedroom apartment for 2 people. 3 night minimum charge in a 2 bedroom apartment for 4 people. 25% deposit payable with booking & the balance payable 8 weeks prior to arrival. Full payment required at time of booking for summer special promotions. Over 8 weeks prior to arrival 20% charge. Less than 8 weeks prior to arrival 100% charge. Please have adequate travel insurance to cover all eventualities. 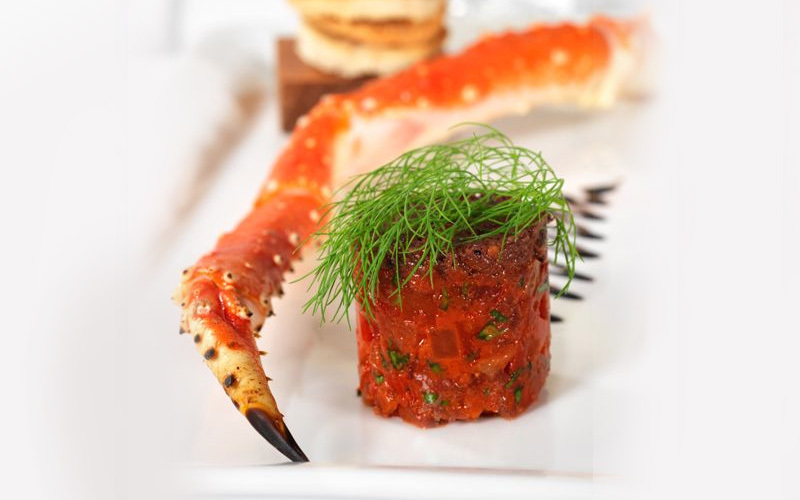 Our Personal Chef can create a special menu and dining experience perfectly suited to any time of the day for you and your family. Meals can be prepared from our suggested menus or to order. We do not limit your choices by having set menus. Rosalie Apartments is a family run business who have been providing luxury accommodation for over 18 years. The founder, Peter Glover welcomed our first guests on the 2nd April 2001 and we have continued to provide a first class holiday experience for travellers from all over the world. We are situated in the Parish of Christchurch in the exclusive residential area called Atlantic Shores on the South Coast of Barbados, a location which offers stunning panoramic ocean views together with a cool sea breeze among our tropical Caribbean climate.